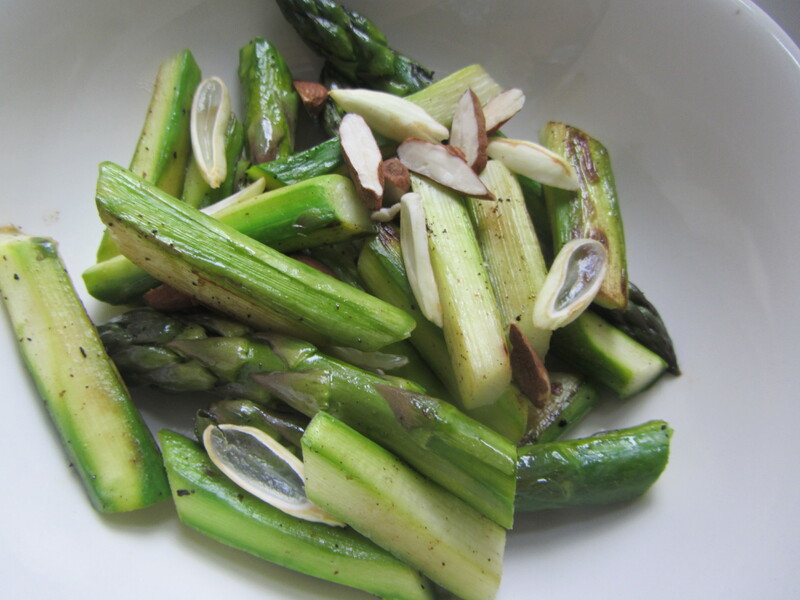 ‘Tis the season for fresh-picked asparagus, available in May, and for fuzzy green almonds, available from April til early June. This simple dish pairs them, imparting the unmistakable, distinct taste of spring. 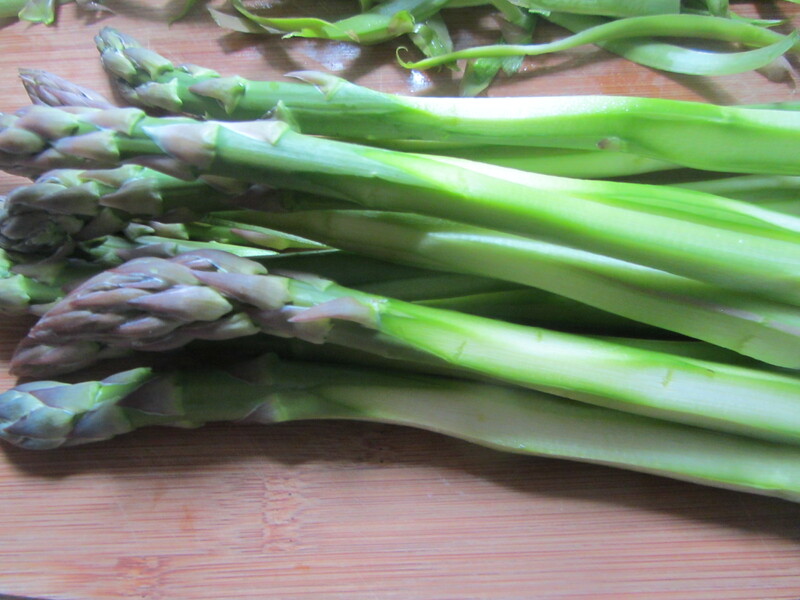 Process Remove the tough outermost layer of skin of the asparagus. 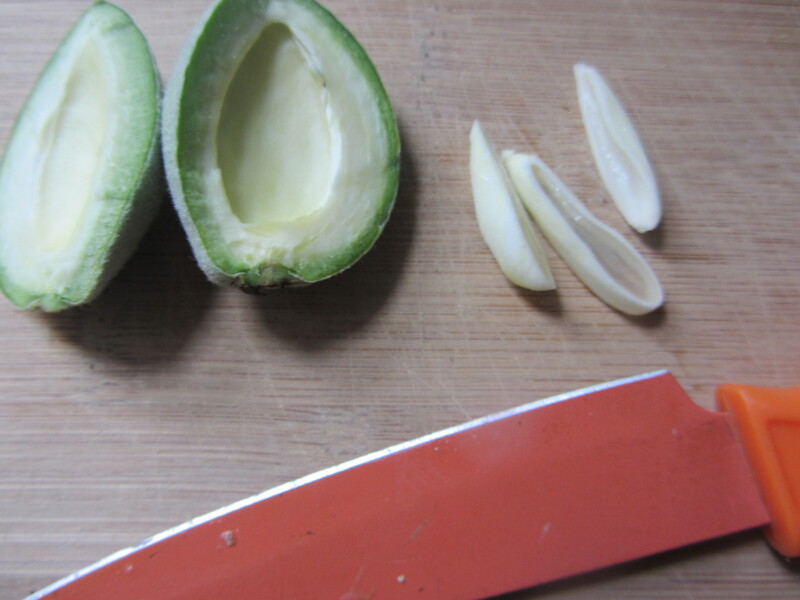 remove the soft fleshy almond inside; slice it lengthwise, into 3-5 slices. Set aside. Dry roast the almonds in a stainless steel skillet for about 2-3 minutes. Remove from pan and slice the almonds lengthwise. Set aside. Heat a cast iron or stainless steel skillet on a medium flame for about 3 minutes.. Add the olive oil and allow it to heat for about one minute. 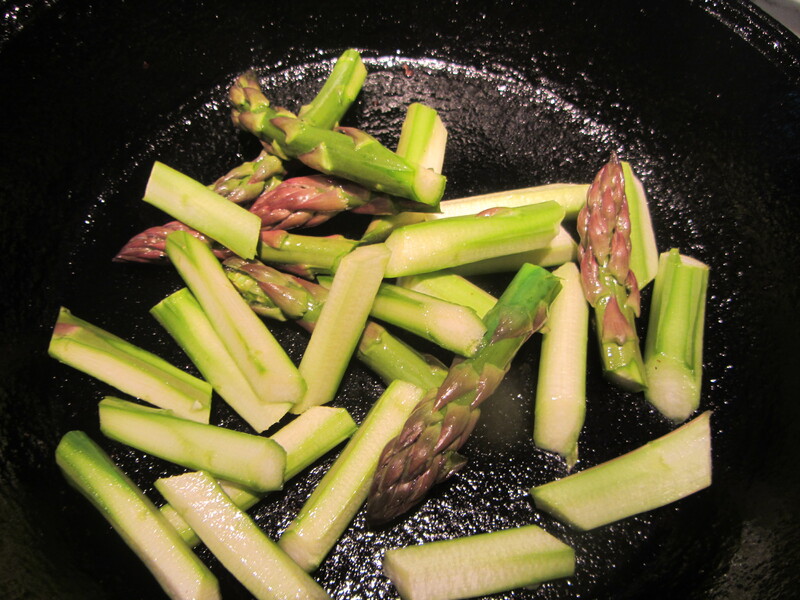 Add the asparagus to the pan. As each side of each piece turns a warm golden brown (should take 2-3 minutes), remove it from the pan. Place in a bowl and garnish with the fresh almonds and roasted almonds. 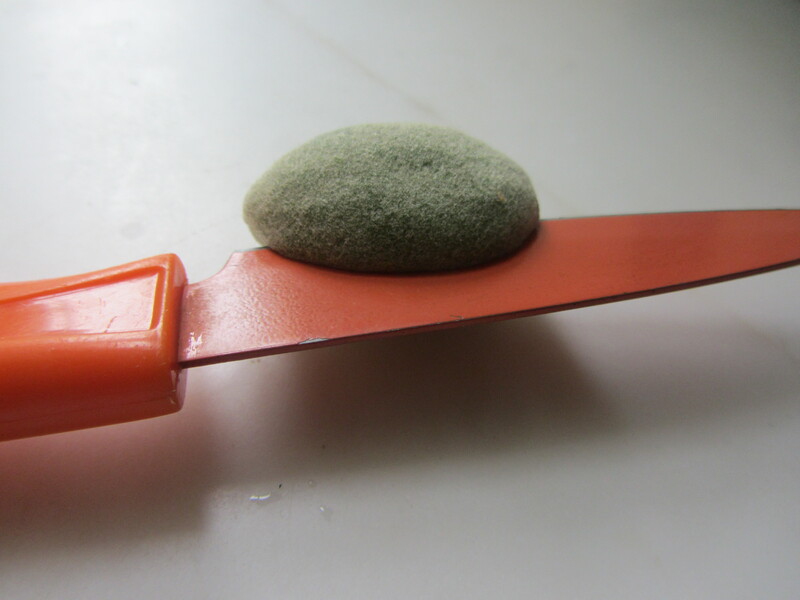 Squeeze the lemon juice on top, if desired.